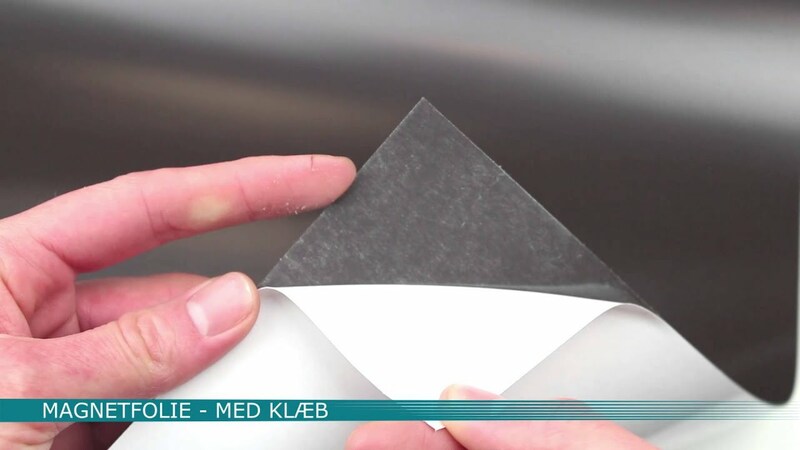 This flexible magnetic sheet is produced with adhesive on one side. The adhesive magnetic sheets are used for applications where there are no metal surfaces. The magnetic sheets are equipped with nature brown or white surface. Remeber to always test the adhesive abilities on the surface in question in order to ensure that the magnetic sheet with adhesive works as desired. The Larko Flex magnet sheets are quality products solely produced by good raw materials under tested manufacturing processes. This ensures magnet sheets with long durability, highest possible magnetic strength and excellent flexibility. The adhesive magnetic sheets are specially made products with one side covered with quality adhesive. The adhesive is a standard adhesive that works for most applications. Remember to test the adhesive abilities to ensure that the adhesive and the surface are in sync. Be aware of the strength of the adhesive for the models in 1.5 and 2.0 as the strength of these magnets is quite high and in some cases the magnetism can actually be too strong for the adhesive to work depending on the surface. Watch product video for the adhesive magnet sheet here. It is also possible to acquiere the Larko Flex magnet sheets without adhesive. See our complete range of flexible magnetic sheets here. If in need of magnet sheets for vehicles please see the Auto Superior magnetic sheets specifically developed for these purposes. The instructions manual for use and print of magnetic sheet must be read before application. Application of magnetic sheets are not recommended at temperatures above 40 °C. See instructions under “downloads”.